Ferrari's drowning horse // One half of the Scuderia is clearly propping up the other - time for a change? Chris first caught the F1 flu back in 2003 but lost track due to the snooze-fest that was the 2004 season. In 2010 Chris rediscovered the sport and has become enthralled since. He makes no claims to be a superb writer or journalist but only an obsessive follower of motorsport, particularly F1. Nowadays Chris spends his spare time experimenting with cocktails and wasting time with Musical Theatre types. He does not enjoy long walks on the beach… sorry. Let’s face it… Felipe Massa is very much on the back foot. With a total of 10 points to his teammate’s 76, it’s become very clear that something is not working for the Brazilian. Perhaps it’s the tires or the car itself or maybe he’s just lost his edge but whatever the reason, Stefano Domenicali needs to make a decision on what he wants to do with the second seat at the historic team. The Scuderia’s relationship with Massa is just not working out to either of their liking and if Felipe doesn’t build on his slight improvement in Monaco, his seat is in serious jeopardy of being lost to another driver mid-season. It’s also worth mentioning that Massa’s contract is up at the end of this year anyway. So who could possibly be in line for that seat? If Ferrari decides for a mid-season switch, the logical choice for a Massa replacement would be their own reserve driver. He’s already under contract with the team, is a part of Ferrari’s young driver program, has impressed in some young driver tests, and let’s not forget his success in Formula Renault and GP2. The question is: would he perform better than Massa? It’s a tough one to answer but if Felipe continues down the road (or gravel trap) that he has been, the team has nothing to lose, do they? When Sir Jackie Stewart says a driver’s got talent, people listen. Lots of people listen. Di Resta making the move to Ferrari actually makes a lot of sense. He’s proven in the last year + five races that he has real star potential and such a feat after racing in tin-tops for some time is not the easiest feat in the world. A sixth place in Bahrain with a car that seems to be running more towards the back of the pack is just one example of his brilliance. He’s a smart driver. He’s always thinking about the race rather than the lap he’s on (more crucial now than ever). He’s a good fit for Ferrari and might be enough of a talent to push Alonso’s buttons, get him fired up and performing even better than he already does. Moving Di Resta up to Ferrari would also make a tremendous amount of logistical sense as Bianchi is Sahara Force India’s test driver as well. 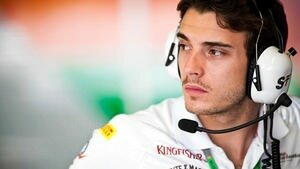 Take Di Resta into the Scuderia, put Bianchi in the Force India seat and get him some Grand Prix experience. Perhaps he would be a good fit when Alonso decides to move on or if Di Resta doesn’t work out. Oh, how the rumor mill turns. After Malaysia it seemed every third story was about Checo’s rumored switch over to Ferrari. I guess it made sense at the time. New, young talent… legendary F1 team… it was a match made in tifosi heaven. 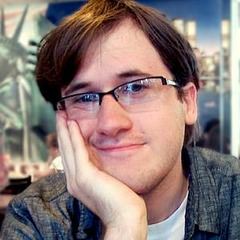 Recently, that speculation has more or less fallen off of a cliff. Taking Pérez into the team could work out, as most drivers in the mid-field have an exit clause in their contract in the event that they are called up to one of the ‘big-4’ teams. Di Montezemolo is also always looking for a way to sell more cars in North America. A Mexican driver and a Mexican Grand Prix look like good opportunities for marketing. Unfortunately, I’m not convinced that Ferrari believes Sergio to be a good match for the team. He has not shown a tremendous amount of maturity and will always be a number two to Alonso. Pérez may be the next Massa: not a bad driver, a solid points scorer, a team player and maybe a competitor for the title for a year or two and if that’s enough for Domenicali then go for it. On the other hand, Ferrari has committed to Alonso in a very profound way. Their number two driver is only there to support Fernando and push him to be better on track. Checo would be learning from Alonso. He would be a protégé, not a driving force. 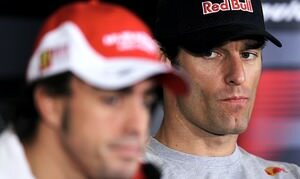 Mark Webber was the media’s “flavor of the week” (his words, not mine) for the Ferrari seat some weeks ago. Frankly, he would be a good partner for Alonso. He has spent significant time over his career as an equal or number two driver and is experienced enough to provide a solid platform for Alonso to judge his performance from. The only hiccup would be his current employers. He’s done extremely well for Red Bull this year, earning himself four P4’s in a row, and topping them off with a victory in Monaco. Sitting joint second with his teammate in the championship, Webbo is still a strong contender for the title. If he retains this kind of performance and reliability, there is no way that Red Bull lets him go. Sure, he may only win the occasional race, but he is good for solid points at 80% of the races while his teammate blows hot then cold with no in between. Were I a team boss, I’d take Webber’s kind of reliability any day of the week and twice on Sunday. The other side of the coin is that this is a good year for a switch. Webber and Massa’s contracts are both up at the end of the year and there is certainly no shortage of youngsters looking for a seat at Red Bull, although given the way the team uses and loses their young talent, I wouldn’t be one of them. Replacing Mark Webber with a Paul Di Resta or Kamui Kobayashi would not be the worst move in the world and would free up the Aussie for a ride in the crimson stallion.